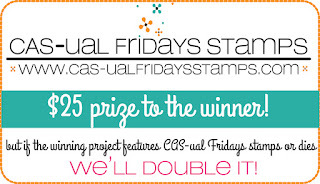 Please contact Michele at info@cas-ualfridaysstamps.com to claim your prize. 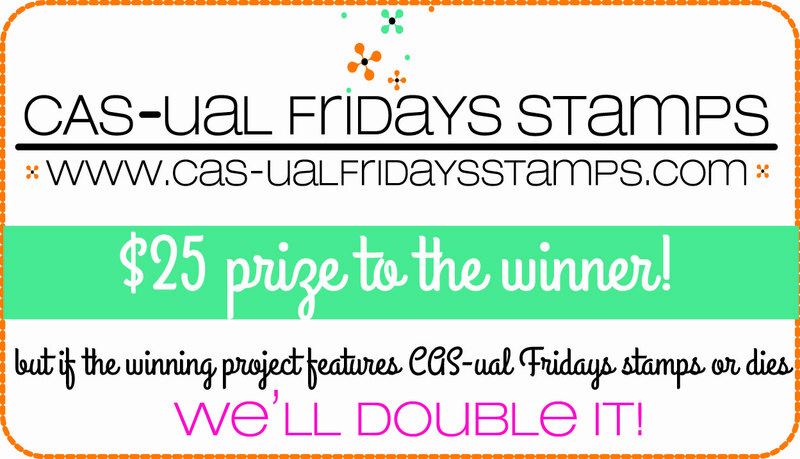 Because CAS-ual Fridays Stamps were the focus of your card, your gift certificate has been doubled to $50 - woohoo! 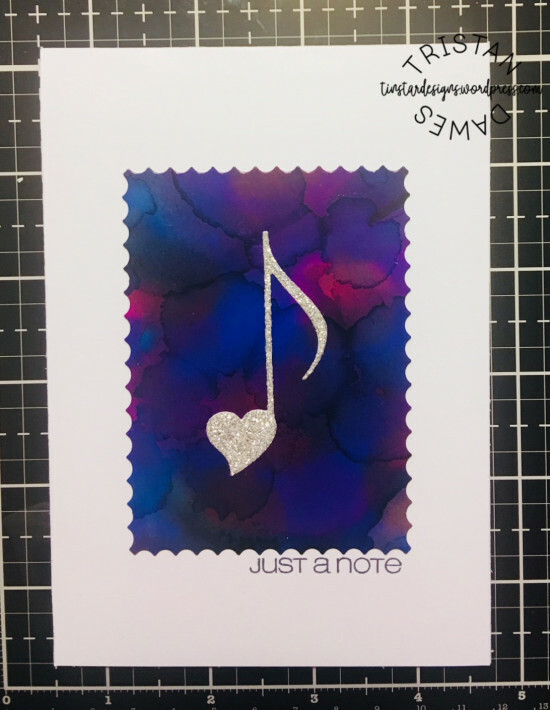 Woot woot - lots of happy dancing going on here - thank you so much for picking my card. 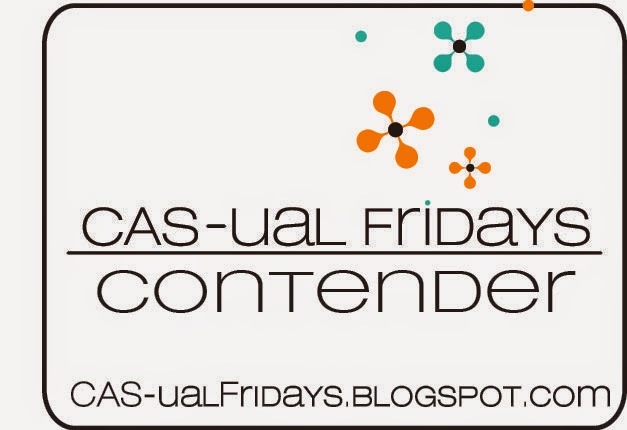 COngrats to the other favourites and contenders - your cards rock! 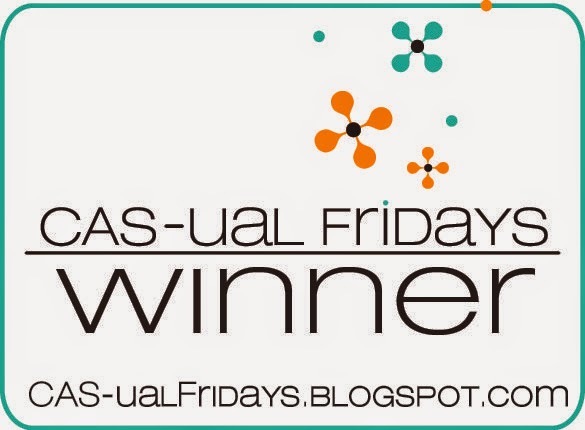 Yayy...so happy to be chosen as one of the favorites...congratulations Trinstar and other chosen ones!! So pleased to see my card on the contenders list - thank you. Congrats to Tinstar and all the favourites and contenders.